Greatness is earned, and tonight’s guest on the #HWWeekly podcast on HubbardWrestlingWeeekly.com is the definition of greatness. She has been a champion every place she has been in the world of professional wrestling, is currently a multiple organization world women’s champion and is the former women’s champion of the National Wrestling Alliance. She is the one and only Kacee Carlisle. 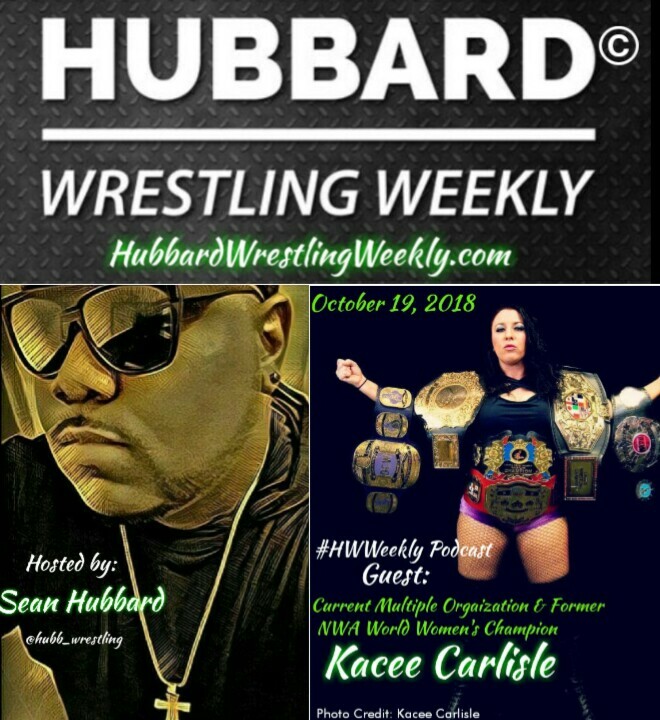 Click play and listen to her speak about her beginnings in wrestling, the epic one-night tournament that put her on the map and her climb to become one of the most recognizable names in women’s wrestling anywhere in the world. You want to talk about a Women’s Evolution? Then you are talking about Kacee Carlisle!